You are here: Home > News > Planning Chaos? Who Owns Belfast? 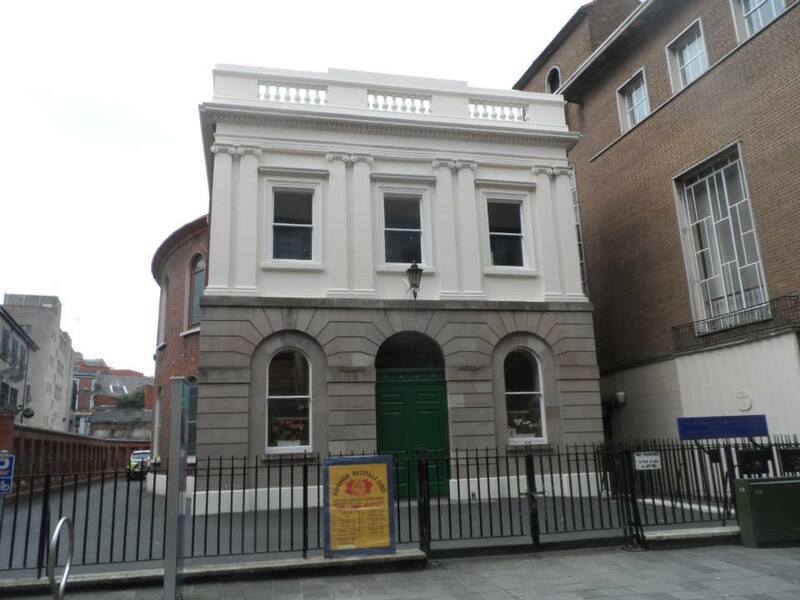 Substantial, strong objections have been submitted by UAH, Save CQ and the Statutory Consultee, Historic Environment Division (HED), not to the principle of development per se, but to the proposal’s overbearing scale, facadism, bland architecture and the consequent cumulative loss and detriment to Belfast’s heritage building asset base. As a major application impacting on core heritage streetscapes whose dilapidation is a direct consequence of un-checked speculative land-banking, this application should have been handled directly by the Department for Infrastructure (DfI) planners. 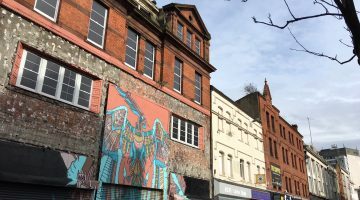 However, for reasons unexplained, the Department chose not to get involved and to leave the web of applications to be determined by Belfast City planning committee. 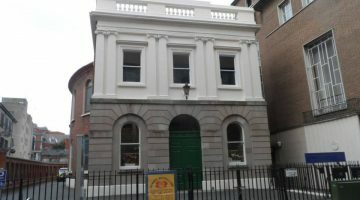 With the greatest of respect to a committee of elected representatives who rotate in and out of planning, they have neither the acquired training base nor the accumulated experience to be expected to professionally evaluate this nightmarish collection of intertwined applications and, crucially, the cumulative impact of the whole on Belfast’s authentic heritage experience and tourist Unique Selling Points. 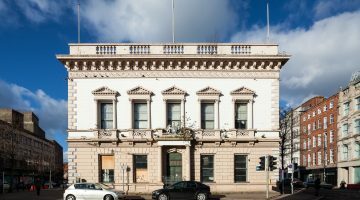 The case officer reports presented to councillors, while dismissing substantial policy- based objections as simply ‘taken into consideration’, also advises members that as strong objections from HED have been similarly dismissed the applications may be subject to ‘call in’ from DfI planners. This has the appearance of chaos. Turning to the developer. Castlebrooke’s agents and public relations operation continue to highlight the up-front ‘big numbers’ which characterise this type of proposal. Vague hints appear in the press of ‘anchor tenants’ with the John Lewis name as an entirely unsubstantiated candidate. John Lewis recently posted profits down over 70% and an historically low employee partner bonus. However, the applicant in the proposals proposed to be before council tonight is not actually Castlebrooke but a company called PG Ltd. Reference to the Companies House website shows PG Ltd as ‘Project Goat Limited’ a company with six directors who hold between them over 650 current and lapsed directorships. Another, apparently related company is Project Goat Holdco Limited with a sole director. Meanwhile PG Ltd is shown as being subject to 2 charges (mortgages) on property detailed as being within the CQ envelope. These, in turn are held by a third company, Sparrowhawk 606 Properties Limited, registered in Jersey. UAH has asked the Department for Infrastructure to ‘call in’ the CQ applications. 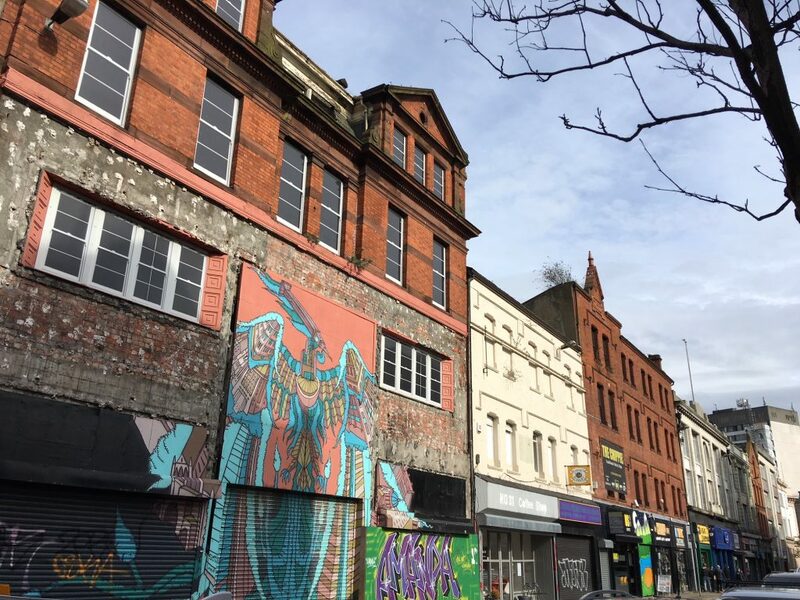 UAH has a duty to question any factor which impacts on the built heritage asset and is of the opinion that it is essential that development pressure on Belfast should be transparent. The bubble which burst in 2008 was the result of banks withdrawing support from often ‘virtual’ developments that had inflated in ‘value’ from a troubles era low, to the fantasy highs of the boom. It is not for UAH, focusing attention as we do on the promotion and protection of the dwindling heritage asset, to investigate if the bubble is back, and, crucially who is/are the actual beneficial owner/s of such multiple schemes, but, given the current plethora of speculative development it appears that local investigative media is ‘asleep at the wheel’.